New York City is notorious for high real estate prices. 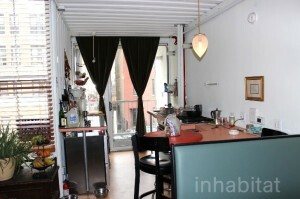 One couple was able to make their dream home in NYC’s Williamsburg neighborhood by using 6 storage containers. We found this story on Inhabit, and can’t recommend highly enough to click here and read the whole story. The condensed version is that they could not afford to build the home they wanted on the property they purchased. 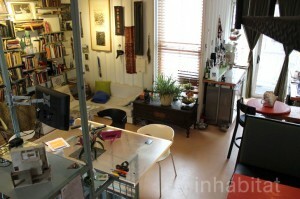 The combined their architectural and construction know-how to build a home that fits perfectly onto their lot. We have posted some pictures here, but if you go back to the original story, there are even more pictures there. The owners worked very hard to repurpose and upcycle tons of the materials used in the home, used radiant heat and Super Therm insulation making it energy efficient and green. The design of the house is great – they embrace the container, made balconies by cutting out sections of the container and created a space between the containers for a staircase going up. They kept the area between the containers open and used an open floorplan so they could maximize every square inch of the home. Our question for you is – what would you do with containers to make your dream home? The project was not without its problems. The Department of Buildings stopped progress on the home after a story about the home was reported on the internet. It took them from 2008-2013 to build the home and comply with the DOB. They were able to finally move in to the home this year. 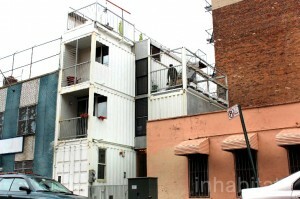 This cautionary part of their tale is an important one for people considering building a home out of containers. Naturally all homes have to comply with local building codes, but often container homes are brought to a higher degree of scrutiny. I believe it is because cities often are not familiar with projects going on throughout the world.